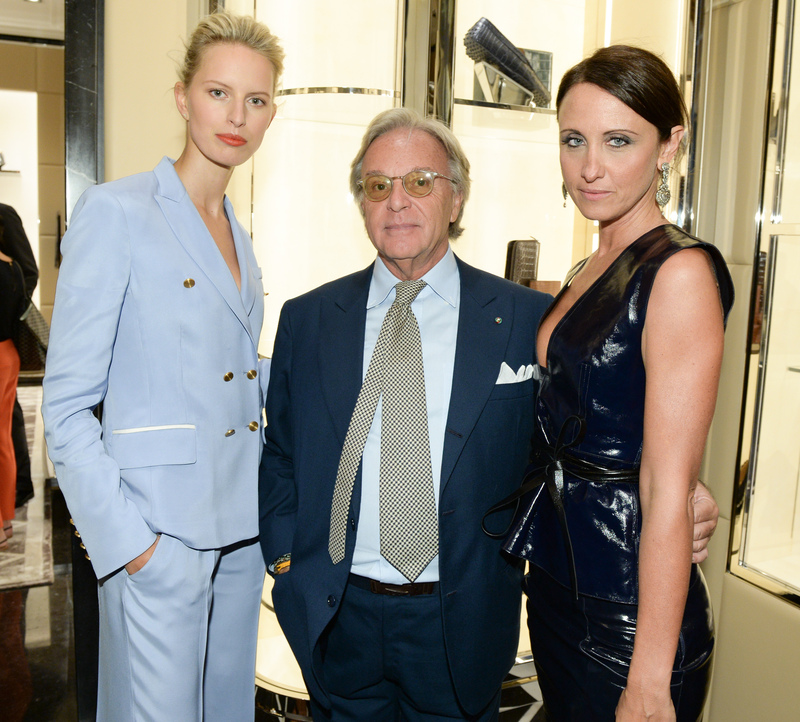 Tod’s hosted one of the chicest fashion fêtes in town during NYFW. Owner Diego Della Valle held court near the entrance as guests entered the newly renovated space on Madison. The CEO was all but mobbed by everyone trying to congratulate him on the store reopening despite the slew of celebs that were milling around the party including Karolina Kurkova, Baz Luhrmann, Adrian Grenier, Uma Thurman, Ewan McGregor, and a later arrival by none other than Nicole Kidman. After taking photos for the paparazzi, Kidman was quickly whisked away to a back room where she presumably stayed until the VIP dinner took place later in the evening. And would you expect anything less? Alessandra Facchinetti‘s vision for the Italian label has revived the classic label and taken it to the top of the fashion crop. “She has amazing taste and style and I think she designs for women, who want to be elegant but modern,” said Kurkova of Facchinetti. “I think it’s something women can still wear in the office, but it’s not boring. She’s very cutting edge and fashion forward. It’s classic, but it’s not boring.” Kurkova added that she first met Facchinetti during Kurkova’s very first runway show when Facchinetti was working at Prada 15 years ago. Kurkova, might we add, looked stunning in a baby blue cropped pant suit by Tod’s and Faccinetti sizzled in a patent leather pencil skirt and matching cinched waisted top. Clearly, guests agreed as they ooed and ahhed over the mannequin displays and the naturally, the shoes. A few female editors were even overheard admiring the men’s sneakers, wishing they also came in women’s sizes. And as far as editors go, tout le monde, was there including Glenda Bailey, Robbie Myers, Suzy Menkes, Deborah Needleman, Kristina O’Neill, Hamish Bowles, Jim Nelson, Eva Chen…the list goes on and on.